To compare the efficacy and safety profiles of different phosphodiesterase-5 inhibitors (PDE5Is) administrations for erectile dysfunction (ED) in diabetic men, including on-demand (PRN) and regular regimens (OAD). Searches were carried out in four electronic databases: PubMed (until April 17th, 2017); Scopus (until April 17th, 2017); Embase (until April 17th, 2017); and Cochrane (until April 18th, 2017). 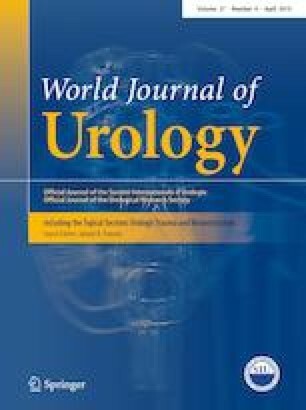 The outcomes for this study are as follows: (1) Global Assessment Question (GAQ) positive response rate; (2) changes from baseline to the end of the study in Erectile Function Domain of International Index of Erectile Function (IIEF-EF); and (3) treatment-related adverse events (TRAEs). The comparative effects of PDE5I regimens were analyzed with random-effect models in a Bayesian Framework using the GeMTC R package. We identified 1056 records, of which 15 randomized trials with 5274 patients were included. The included studies covered eight kinds of PDE5I administration: avanafil PRN; mirodenafil PRN; sildenafil PRN; tadalafil PRN; tadalafil OAD; udenafil PRN; udenafil OAD; vardenafil PRN; and placebo. In surface under the cumulative ranking curve analysis, vardenafil PRN ranked first, third and first, and mirodenafil PRN ranked second, first and second in GAQ, IIEF-EF, and TRAEs, respectively. PDE5I administrations were generally efficient and well-tolerated in diabetic men. Among these administrations, vardenafil PRN and mirodenafil PRN seem to have a possible advantage of efficacy and avoiding adverse effects compared to others. There is no significant difference between regular and on-demand regimens of PDE5Is. Xinyang Liao, Shi Qiu and Yige Bao contributed equally as first authors of this manuscript. The online version of this article ( https://doi.org/10.1007/s00345-018-2583-1) contains supplementary material, which is available to authorized users.